Carter and Sliders actor Jerry O'Connell is crediting Live! star Kelly Ripa with guiding him towards a second career as a talk-show host. 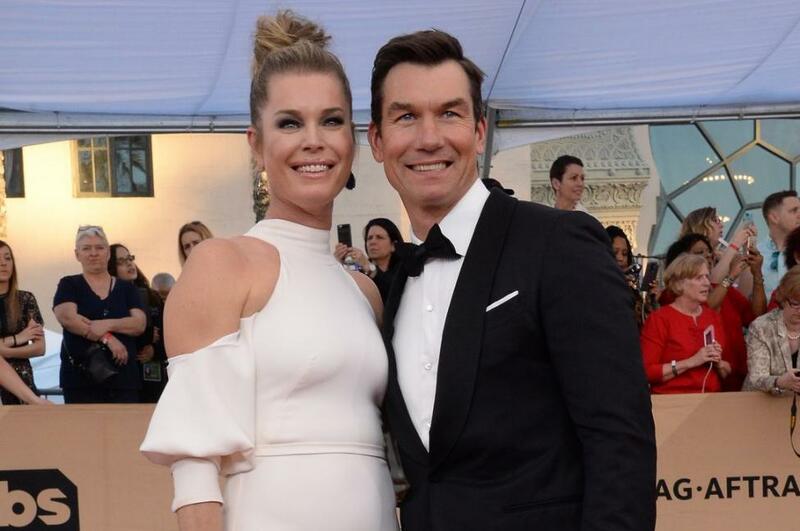 O'Connell said Ripa first invited him years ago to fill in for Regis Philbin, who was on medical leave, and they got along so well she asked him back many times after that as her regular co-stars -- Philbin, then Michael Strahan -- came and went. "I had known her a little bit, ironically, through Andy Cohen, through Mr. Bravo himself. She said: 'Hey, come on the show. We need some co-hosts while Regis is on leave.' I went in a bunch of times," O'Connell told UPI in a recent teleconference with reporters. "It was just like blind luck that I did it and I really enjoyed it." He said Ripa was fun to work with and generously showed him the ropes. [post_ads]"She's just such a natural and just so amazing at bringing the best out of anyone she's on screen with or anyone she's with, period. It was really Kelly Ripa that sort of got me into it," O'Connell said, adding that before his appearances on Live! he never considered he might be successful in this corner of the entertainment industry. "I thought I'd just go on auditions and get acting jobs, and it was really Kelly Ripa that really not only first asked me to do it, but then encouraged me to keep doing it," he added. The Stand By Me alum is now the lead in WGN America's cop comedy Carter, which debuted Tuesday, and has already begun work on Bravo's upcoming chat program Real Men Watch Bravo. "While I act in a scripted show like Carter -- and I love doing it and I have a good time there -- man, it's going to be also another passion of mine to talk about what's going on with the Real Housewives of Orange County because, man, that's like my hard news." The show will feature O'Connell and various celebrity guests chewing over the trending topics from recent episodes of the cable network's reality shows. "I watch every Housewives show. I go deep. I go below deck. I watch Shahs of Sunset. I'm just a huge fan and we're going to have so much fun doing a show talking about it," he said.